Kingfishers are medium, stocky birds with large bills and small feet, and are in the family Alcedinidae. 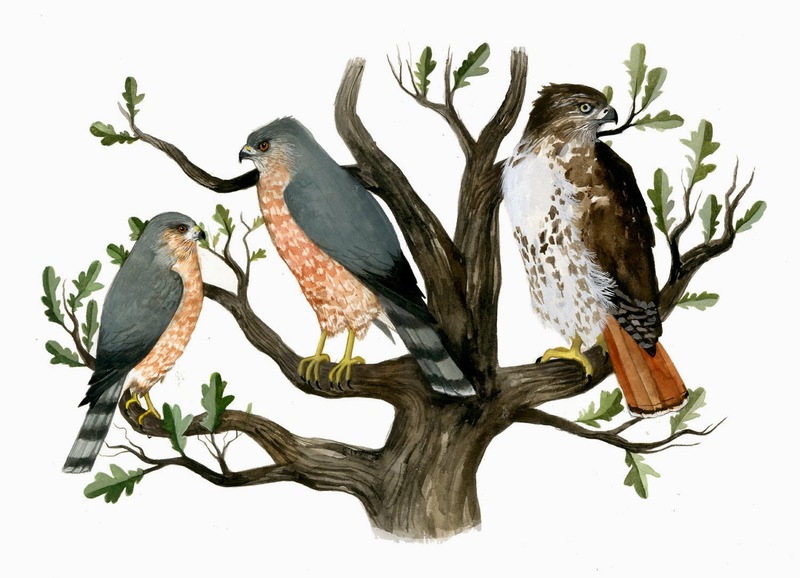 This family is divided into roughly 3 subfamilies. 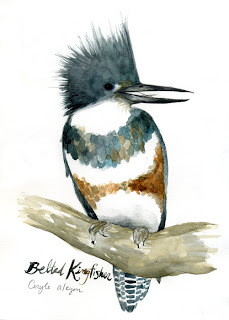 Our North American kingfishers are in the subfamily Cerylinae. One of the distinctive characteristics of Cerylinae is that all 3 species are found near water and catch fish by plunging and diving. It has been observed that Belted Kingfishers teach their young to fish by dropping dead prey into water to encourage retrieval. The preference for water and fish is not shared with other Alcedinids. Worldwide, the species exhibit a wide range of foraging habits, and many occur far from water. The specimen I prepared was a female (I believe, but there is a small possibility it was a juvenile male). Adult male kingfishers do not have a band of rusty brown; both of their breast bands are slate blue. I couldn't get over the tiny feet. I saw a Belted Kingfisher last year near a pond tucked back in a corner of Rosehill Cemetery, of all places. I had been riding through on my bike when I heard its harsh, trilling call, and then looked in time to see it dive bomb the water.